The work of a teacher is full of moments that could be described as life-changing. Some of these moments are small, their importance only becoming clear after the event. At other times, an experience is so significant that you are aware of its seismic impact upon both you and your students as it occurs. In July, I had just such an experience when I led a residential trip to Krakow, Poland, attended by 50 year 9 students. 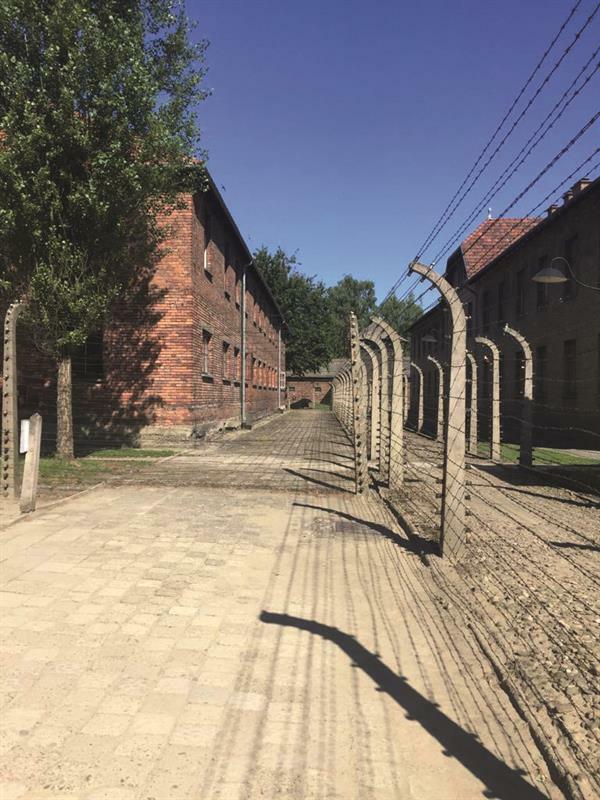 The aim of the trip was to explore the events of the Holocaust, a topic that the pupils had recently studied. As a history teacher, this is an area of study that I am passionate about delivering. It is vital that young people are made aware of the horrors of the past in order to instil in them the importance of cultivating a tomorrow that is free from prejudice and persecution. Prior to departure, I was aware that this would be a thought-provoking experience for those attending. I was, however, entirely unprepared for just how emotionally affecting the trip would be. Months later, I am still mentally unpicking the experience that I shared with my pupils and colleagues. On the morning after our arrival in Krakow, we set out for the Auschwitz-Birkenau Memorial and Museum. Spread over two main sites, this network consists of both concentration and extermination camps which saw the systematic murder of an estimated 1.1 million people, the vast majority of whom were Jewish. 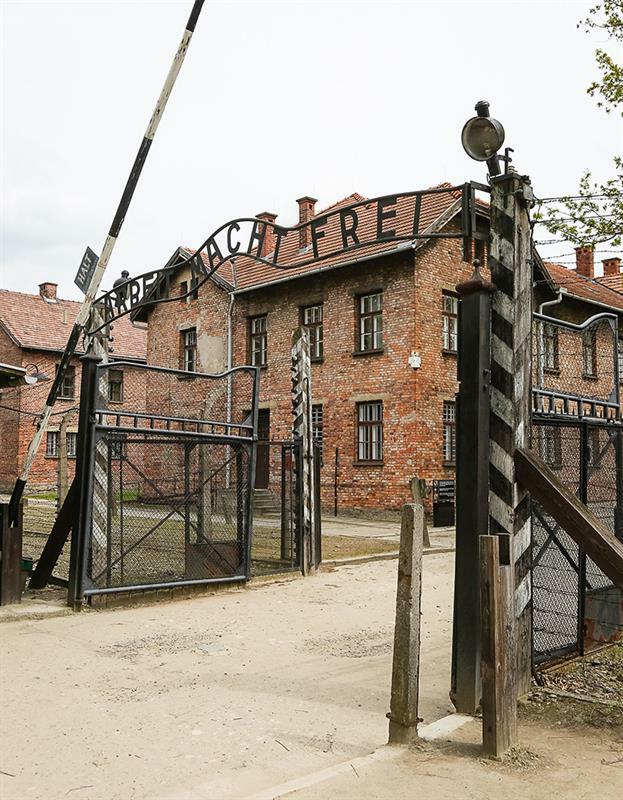 Entering the main site of Auschwitz concentration camp, we passed under the infamous wrought iron gates bearing the words “Arbeit macht frei”, which translate as “Work will set you free”. I have a picture of these gates in my classroom and my students were already aware of the terrible irony of these words. As our tour guide led us through the buildings of the camp, each room brought a new tale of human suffering. Exhibitions displaying tonnes of shorn human hair, hundreds of pairs of shoes and innumerable pairs of cracked spectacles served to highlight the industrial scale of the extermination that the Nazis had perpetrated against the victims of the Holocaust. The following day, we visited the Galicia Jewish Museum, where we had the great honour of meeting Miroslawa Gruszczynska, a woman whose family had successfully hidden a young Jewish girl, Miri Amir, for three years during the Second World War. Risking the lives of themselves and their own children, Miroslawa’s parents had agreed to take in Miri after her family were taken by the Nazis. Miroslawa’s parents forged baptism papers, claiming that Miri was their niece who had been sent to live with them after the outbreak of the war. At one point, Nazi soldiers entered their home to investigate the sudden appearance of this young girl in the family, but left after being convinced that she was gentile, and therefore worthy of living. Had the truth been discovered, Miroslawa’s family would have faced on-the-spot execution as a result of their “crime”. Miri was eventually reunited with her father, who had avoided the camps due to fighting in the Polish army, and her older brother, who had managed to escape from the train to Auschwitz. Her twin sister was also liberated from the camp and returned to them a few months after the end of the war. Tragically, her mother had been unable to escape and was one of the millions of innocents to die within the Nazi gas chambers. As a result of their bravery, Miroslawa’s family were bestowed the honour of “Righteous Among the Nations”, a title given to gentiles who risked their lives to help Jewish people during the Holocaust. The trip also included a detailed tour of Krakow during which we visited other locations significant to the Holocaust. 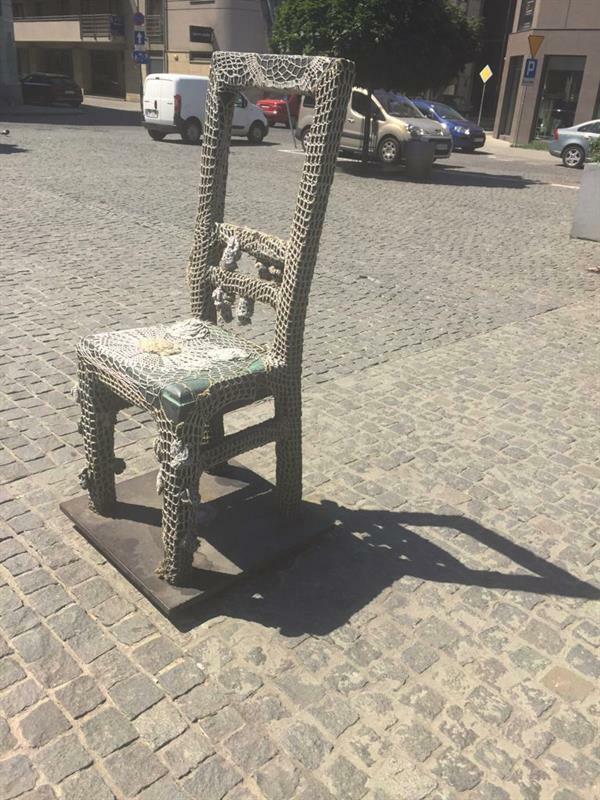 These included Oscar Schindler’s factory, the old Jewish Quarter of Kazimierz and the Empty Chairs Memorial in Ghetto Heroes Square, located in the former Podgorze ghetto. My pupils showed great empathy throughout, visibly appalled by humanity’s capacity for cruelty towards others. I feel that we are at a point in history when the importance of remembering the events of the Holocaust has never been more pertinent. Seven decades after the liberation of the Nazi concentration camps, reports of anti-Semitism continue to appear regularly in news broadcasts. Several European countries are witnessing a resurgence of far-right politics – this lurch towards extremist ideals being granted legitimacy on a scale that I have never seen in my lifetime. When students ask me why they must study history, I explain the theory of confronting the past to ensure that humanity’s mistakes are not repeated. It is vital that young people are given the opportunity to examine the past and realise the horrific places that hatred, prejudice and racism can take us. The Holocaust Memorial Day Trust has published a diagram, created by Dr Gregory H Stanton and the organisation Genocide Watch, explaining the 10 stages of genocide. The first stage is “classification”, the process by which differences between people are not respected, creating a sense of “us” versus “them” among different racial and cultural groups. To deny that this is as relevant today as it was in the early 20th century is to effectively bury one’s head in the sand. Being optimistic about the future is crucial, but this cannot be at the expense of confronting the injustices that are committed in the world today. The response of my students to their time in Poland has highlighted the absolute necessity of confronting the past head on. I do my best to promote equality and intercultural tolerance through my teaching of history, and our visit served to consolidate my own commitment to instilling these values in my pupils. Following our talk at the Jewish Museum, my pupils and I discussed the great privilege of hearing a first-hand account of the Holocaust. Within the next decade or so, those who remember the events will no longer be around to share their stories. Just as it is my job to inform my students about the past, it is now their duty to keep the memories alive and pass on what they heard to their own children. Dave Stephenson is a teacher of history at Honley High School in West Yorkshire.